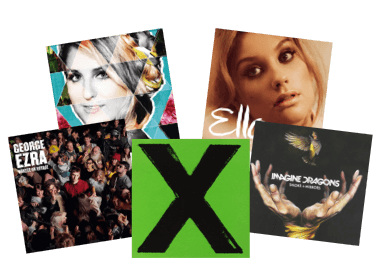 First MP3s and now digital music services such as Spotify and Apple Music are completely changing the way music lovers listen to their favourite songs, resulting in more and more people looking for a quick and easy way to sell CDs. Even vinyl records are making a comeback leaving your once impressive collection of CDs sat collecting dust! Luckily it’s not all doom and gloom, We Buy Books offers a simple service for anyone looking to sell CDs for cash, yep you’ll be glad to know we buy CDs, DVD and video games too! FACT: By 2007 over 200 billion CD had been sold worldwide. How do I sell CDs using WeBuyBooks? So you’ve somehow decided which CDs to keep and which to sell, rather you than me! Now it’s time to earn some dollar, to do this simply head over to our selling basket. What CDs can I sell? Our Hot List is regularly updated with the CDs we want to buy most! What condition do my CDs need to be in? For more information check out our condition guidelines. 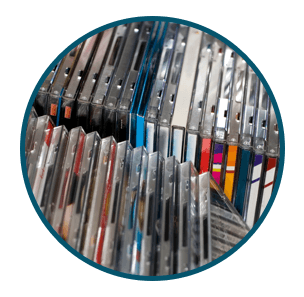 For more information on how to sell CDs check out our Guru Guide – packed full of useful hints and tips. Get your scan on with our mobile app! 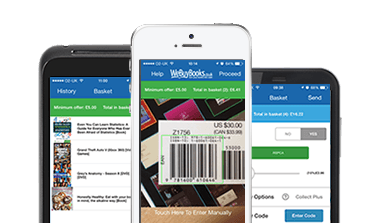 Use our barcode-scanning app to sell CDs EVEN QUICKER without leaving the comfort of your living room! Want 10% extra on your next offer? Then follow us on Twitter or connect with us on Facebook for all the latest news and tips on how to sell CDs for cash.